Condition - New, PING 703 standard size white code grip, includes gripping tape. 10% discount is applied if 8 or more grips are ordered. The quantity of grips ordered can be adjusted on the checkout page. 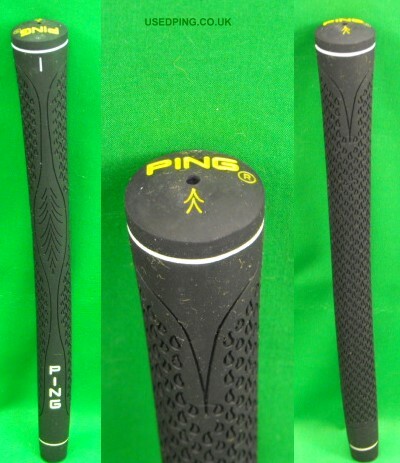 Condition - New, PING 703 Oversize (+ 1/32"), yellow code grip, includes gripping tape. 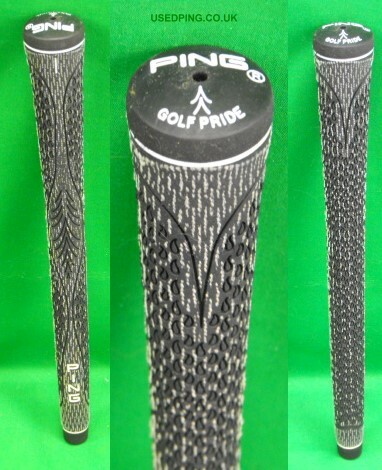 Condition - New, PING 703 Full cord standard size grip, includes gripping tape. 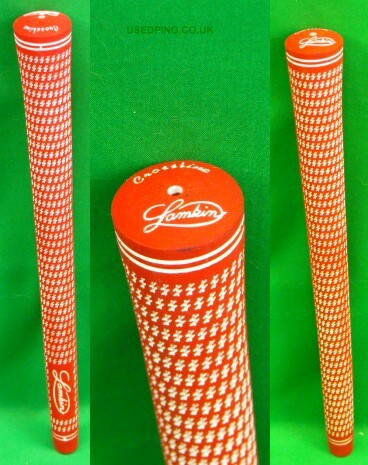 Condition - New, Lamkin crossline red, 0.600, ribbed standard size grip, includes gripping tape. 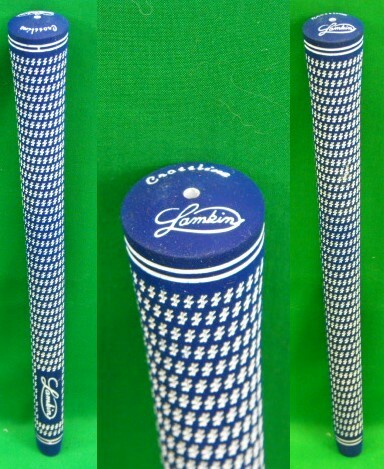 Condition - New, Lamkin crossline blue, 0.600, ribbed standard size grip, includes gripping tape. 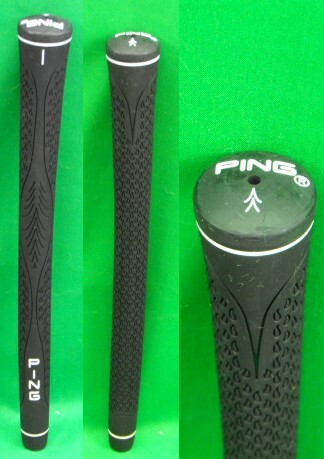 Condition - New, PINGMAN black Putter grip, includes gripping tape. 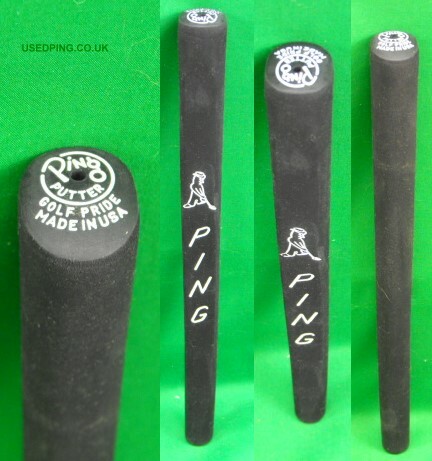 Genuine new PING Replacement Golf Grips. All grips include gripping tape. If you play a round of golf once or twice a week then you should consider replacing your grips every 12 months, If you have a strong grip or play more often it would be wise to consider changing your grips more often. Having grips in a good, workable condition is essential; the grip is the only contact you have with the club. Grips in a poor condition can seriously effect your shot making ability. Grips should be cleaned and dried after each round to keep them in good working order.